Having excess closeout food and beverage inventory is an issue that affects just about every successful manufacturing company. This closeout or excess inventory takes up valuable warehouse space and can create various hidden expenses, such as insurance, maintenance, depreciation and even taxes. "Manufactuer's who donate excess food and beverages to Warrior Food Project can clear out warehouse space, earn federal income tax deductions and avoid liquidation nightmares while helping feed hungry or homeless USA Veterans." When deciding whether or not to liquidate your inventory, it is important to keep in mind that if you liquidate, you may be setting yourself up to be undermined with the selling of your own products. Discount houses and brokers may buy up your liquidated stock and compete against you, which can greatly affect your regular set prices. Instead, by donating your closeout inventory you can take advantage of federal income tax deductions, which could add up to twice the initial cost of the items. Donating simply makes good sense for corporations; not only does it make economic sense, but your generous contributions give back to the society and community as a whole, offering a helping hand to those less fortunate veterans. Warrior Food Project provides organizations with the peace of mind that their donations will be handled by experienced staff who will get them to where they are needed most. 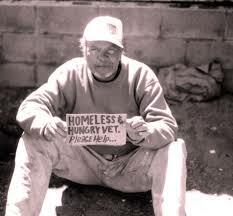 "Nearly 1.5 million Veterans are at risk of homelessness and going hungry"
when you can get an enhanced tax deduction! INCREASE YOUR MARKET EXPOSURE - Or Not ! Warrior Food Project actively works with your PR and marketing department- or stays silent- it’s entirely up to the donor! We’ll help to further enhance donations, by promoting goodwill with customers, vendors and employees. Everyone would rather make a difference! INCREASE AVAILABLE WAREHOUSE SPACE AND STOP WASTING YOUR EMPLOYEES TIME ON EXCESS PRODUCT. Congress provides incentives under the tax laws to encourage donation of inventory to non-profit organizations. These laws provide an incentive to businesses for donating slow-moving items prior to marking down the price. By donating items that today are collecting dust on a warehouse floor or a retail outlet shelf, donors can save the cost of other expenses related to maintaining the inventory, including the cost of warehousing, handling, and/or disposing of the items. Internal Revenue Code, Section 170e3 even creates an enhanced deduction for corporations to take a deduction up to twice the cost of producing an item (when the value is higher than the cost). Before the enhanced deduction was put in place, companies could only deduct an amount equal to their cost for an item donated to an IRS 501c3 public charity. However, the inventory or other property may have a fair market value higher than its cost. Under 170e3, an enhanced deduction allows the donor to take a deduction up to twice the cost/basis of the item if the value is higher than the cost. Donated property under 170e3 must be used for the ill, needy or infant (using IRS definitions). 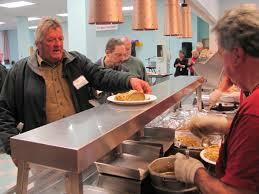 Equipment used by a facility providing service to the needy also qualifies. The same acknowledgement requirements that apply for any donations still applies under 170e3 donations.How does the enhanced deduction under 170e3 work? Ask your tax advisor for the solution that best suits YOUR company. Please see a sample computation below and work with your accountant or tax advisor to see how you can benefit from donation of inventory! Donate Excess Closeout Food and Beverages of any Kind. No Hassles- Let’s Make Your Overstock Make a Difference!